Bryan Allen Bunker was born on January 5, 1924, in Las Vegas, Nevada, to Bryan Lamond Bunker and Chloe LaPriel Strong. He passed away on March 31, 2018, in Mesa, Arizona. He is survived by two sons: Brent Allen Bunker and Randall Mark Bunker (Arlene) and two daughters: Robyne Leslye Fullagar (Christopher) and Jennifer Lee Hall (William “Bill”); one brother Gary Bunker (Carol), 17 grandchildren and fifty great-grandchildren. He was preceded in death by his wife, Merle Tietjen Bunker, his parents, five brothers and two grandsons. Allen graduated from Las Vegas High School in 1941 and from the University of Utah in 1948. He married Merle Druce Tietjen on April 3, 1946, in the Salt Lake Temple. Allen was a lst Lieutenant in the U.S. Air Corp during World War II as an aerial navigator on B-24 Liberator aircraft. He was fortunate to never serve in combat. He became a Captain in the U.S. Air Force during the Korean War. He graduated from the California College of Mortuary Science in 1950 and worked for his father and uncle at Bunker Brothers Mortuary in Las Vegas. In 1964, he purchased two mortuaries in Mesa, Arizona: Gibbons Garden Chapel and Gibbons Desert View Chapel (later changed to Bunker Family Funeral Homes) in Mesa, Arizona. 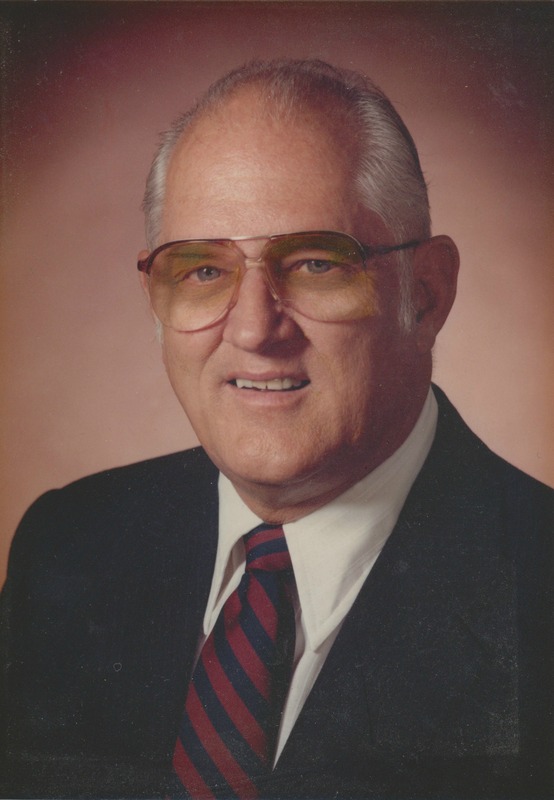 He was very active professionally: President of the Nevada State Board of Funeral Directors & Embalmers, President of the International Order of the Golden Rule, President of the Mesa Chamber of Commerce, an active Rotarian for over 50 years, and served on many Boards. He sold the business to his son, Randy, in 1989. He and Merle traveled all over the world. They visited six of the seven continents and over 100 countries. He was an active member of The Church of Jesus Christ of Latter-day Saints and served in many positions over the years. He and Merle served a public communications mission to disseminate information to the print and broadcast medias. He was the chairman of the Arizona Temple Gardens Christmas lights and activities for five years. He was also a temple ordinance worker. He was a supportive husband to his wife who was a television star and also active in the communities they lived in. Allen was an incredible father and grandfather who adored his family. He will be greatly missed. Viewing will be held at Bunkers’ Garden Chapel, 33 N. Centennial Way, Mesa, Arizona, on Thursday, April 12, from 6:00 pm to 8:00 pm. There will also be a viewing an hour prior to service on Friday, April 13, at 10:00 am. Service will be held at the Gilbert 9th Ward, 1150 E. Guadalupe, Gilbert, at 11:00 am. Interment will be at the City of Mesa Cemetery. I am so very sorry to learn of the passing of your grandfather. I wish you and your family peace during this time of sadness. May God hold and comfort you all. Mr. Bunker was a wonderful example for his family, his church and his profession. Camilla and I were blessed to have been touched by the grace, charm and support both he and Mrs. Bunker afforded us over the many years we were fortunate to have known them. Our sympathy and prayers are extended to all of the Bunker Family. Randy and Family, please know that you are in our thoughts and prayers. Even though we handle grieving families daily, when it comes to our homes it is a very sobering and humbling experience. We send our love to all. I’m sorry to hear of your loss. Your entire family is in my thoughts and prayers as you begin the journey of grief. So sorry to hear this. What a great family! All of us in the Malin and Myreel Lewis family are deeply saddened by this great man’s passing. We have fond memories of Allen’s kindness and generosity to our family through the years. We know he must be enjoying a marvelous reunion with the many loved ones who preceded him. Our sincere condolences to the Bunker family, friends, and staff. Peace Chapel Funeral Home, Ron Thornson and Staff. I am saddened to hear of your Dad’s death and wish to offer my deepest condolences to all of you. If your Dad is anything like you, he must have been a very fine man. I have heard many good things about your Dad through some of the long serving members of OGR. I’ll keep him and all of you in my prayers and wish you the best in your grief journey.